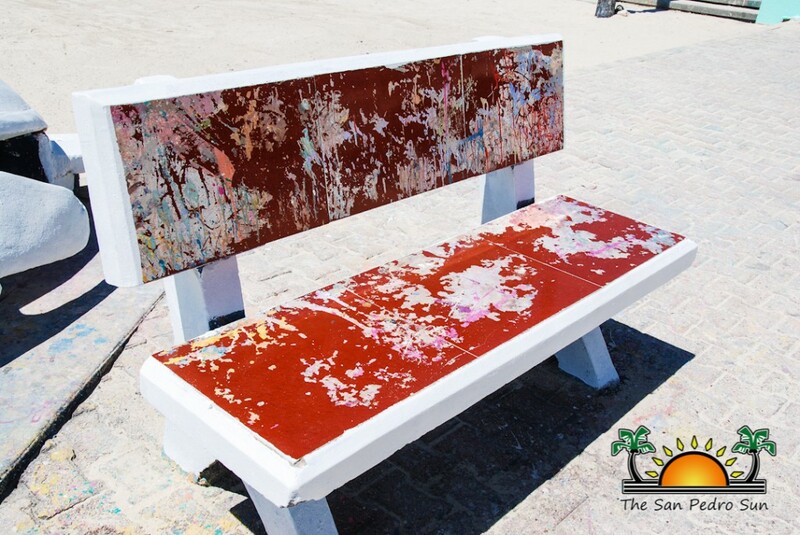 Volunteers from the non-governmental organization Projects Abroad joined members of The San Pedro Town Council (SPTC) on Thursday, March 23rd to repaint the benches at Central Park. Most of the area around the park had been smudged with paint during the town’s festivities of ‘El Gran Carnaval de San Pedro’, and a touch-up was in order. 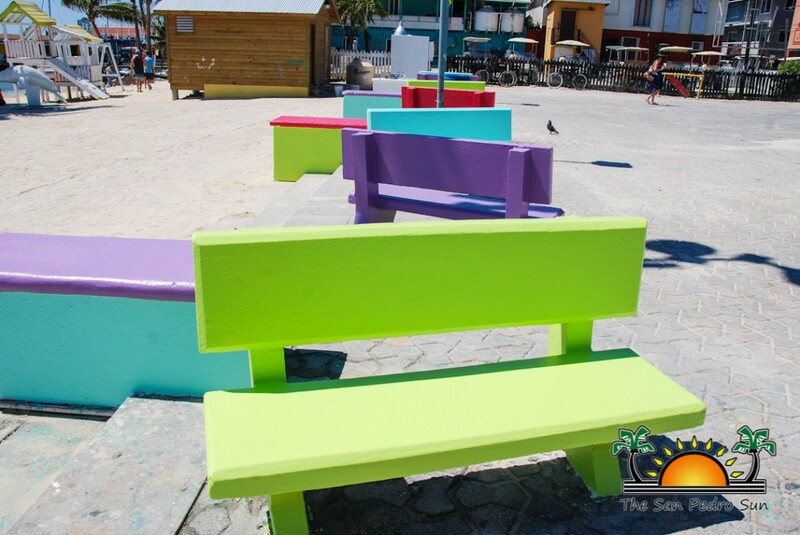 The group of volunteers took to the task of painting the benches in beautiful tropical hues. 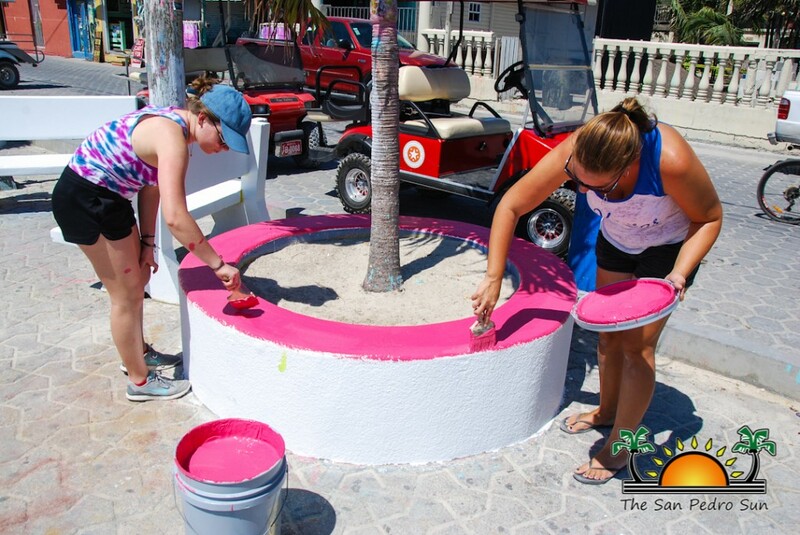 Armed with buckets of paint and brushes, they applied green, white, blue, purple, and pink to the seating areas around the park. Kent ‘Bob’ Gabourel from the SPTC was happy to be onsite assisting in the beautification of the park. He praised Projects Abroad for always being involved with community projects. “We are happy to always count with their help,” he said. Every year during the celebrations of San Pedro’s Carnaval, painting is one of the main activities. Children, adults and even visitors joined in the fun of painting each other with water paint. Most of this takes place in and around the Central Park, which leaves most of the area, including its benches smeared with paint. The SPTC would to thank Projects Abroad for their continued assistance to the community. Thanks to their input and everyone else who helped, the Central Park is now vibrantly coloured, ready to be enjoyed properly.